Home » Android » Download GB Whatsapp apk: How to use Dual Whatsapp? Download GB Whatsapp apk: How to use Dual Whatsapp? GB Whatsapp for Android brings the best of Whatsapp and some additional cool features that are missing in the stock Whatsapp App. Are you a regular WhatsApp user? Then it’s time to refurbish the old WhatsApp look and embrace the all new GB Whatsapp. You must be wondering what exactly is this GB Whatsapp. So, here you go, check out the important features of GB Whatsapp to understand how it is different from the existing Whatsapp application. GB Whatsapp is designed to include a lot of additional features over the regular Whatsapp application. It makes your Whatsapp more stylish and innovative. It brings a breath of fresh air to the same old boring Whatsapp. Get annoyed by random calls from people all the time. Now you can choose to remain disturb free and disable WhatsApp calls from contacts you want with GB Whatsapp. They won’t be able to call you on Whatsapp. Don’t worry; you can always unblock a contact for calling whenever you want. GB Whatsapp gives you freedom of privacy. You can hide your last seen on Whatsapp for specific contacts you want. All other friends will be able to see your last seen except some particular people. With GB Whatsapp you can send broadcast messages to up to 600 users at a time. It removes the 250 users limit on the regular Whatsapp. So, in case you have a large Broadcast list, you can send to them all at once. GB Whatsapp lets you hide the Double Tick on Whatsapp. So, even after you receive the messages on your phone, your friend will not see the double tick on the messages and think that you are offline. This is extremely beneficial for privacy features. Whatsapp is boring without custom themes. GB Whatsapp brings you a dedicated Theme Store. You can search and find free themes for your GB Whatsapp. Use any theme you prefer and show it off. You can always change your themes or remove the themes and return to the default Whatsapp look. This is truly a helpful feature for every Whatsapp user. Finally, you can send more than 10 Pictures together in GB Whatsapp. It allows you to send as much as 90 images at once. So, save a lot of time while sending a lot of media files to your friends. With GB Whatsapp, you can send bigger videos to your friends. No more worries of the 15MB limits of video sending on the regular Whatsapp. You can now send up to 30MB of video files. The regular Whatsapp allows you only 139 characters for your Status. Sometimes it’s not just enough to express our true feelings. Never run out of feelings now, as GB Whatsapp allows you to set status for up to 250 characters. That’s huge! With GB Whatsapp you can finally know whether the message you just received from your friend is a regular message or just a broadcast message. This, though funny, is useful for some users. If you copy some messages on regular WhatsApp, it will show the sender and the time along with the text. But with GB Whatsapp, you can just copy the plain text ignoring the rest. Now you can easily copy the status your friends set on Whatsapp in just one tap on their profile. This is another unique feature of GB Whatsapp. GB Whatsapp is ban-proof. You will face no issues using this app. You will encounter no errors, and it will be a smooth experience for you. 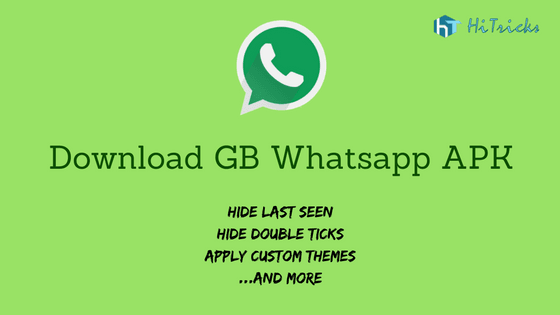 These are only a few of the exciting features that come bundled with GB Whatsapp. Download GB Whatsapp and experience them live. GB Whatsapp has got a lot of useful updates, and it is ongoing rapid development. The current latest version of GB Whatsapp is v5.0. You can download GB Whatsapp Latest Version APK from here. Note: Take care while downloading. Below the download button, there is a secure download manager option. Please uncheck that option before you start downloading the app. It is an ad from Dailyuploads. YOU MAY ALSO LIKE: How to remove Kingroot and Install SuperSU on rooted device? Installing GB Whatsapp is a critical step, make sure you do it rightly to avoid conflicts with Whatsapp Official. If you don’t have the official WhatsApp installed, which is too rare, I will suggest you first download the Official Whatsapp App from Google Play and register your phone number. If you already have Whatsapp installed, then you can proceed to the main part. At first, we will take backup of our existing chats manually so that we don’t miss any chat history. To make backups, Open Whatsapp and click on Settings > Chats > Chat Backup. Now click on the Backup button and wait for it to take backup of your conversations. Now uninstall the WhatsApp application first. 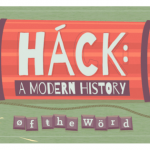 Don’t worry your chats are already backed up so it can be restored again. To install GB Whatsapp on your device, you must enable 3rd party app installs. By default 3rd party app installs are locked in the security settings of your device. Please allow it. Note that GB Whatsapp does not require a rooted device to run, and you can easily install it on unrooted devices too. It also supports the latest Android Nougat. Now click on the apk file of GB Whatsapp that you downloaded. It will be installed successfully. At first, it will ask your mobile number for verification. Provide it and complete the necessary steps to get into GB Whatsapp. That’s all. Now you are successfully using GB Whatsapp. Enjoy! YOU MAY ALSO LIKE: How to protect yourself from the deadly ‘Ransomware’ Virus? Thanks a lot for reading my article on How to Download and Install GB Whatsapp on your Android device. I hope you liked it. If you have any further queries or simply want to thank me, please comment below. I am waiting to read your comments. Share this post with your friends and help them get into GB Whatsapp from the boring regular Whatsapp. Soon I will be back with more interesting topics. Till then, keep reading some of my other interesting articles. 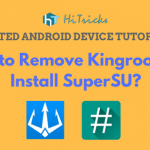 How to remove Kingroot and Install SuperSU on rooted device? Wao, this is cool. It has great features aside the fact that it allows using more than one whatsapp account.